When I was a kid my family used to read to each other after dinner. My brother too young to participate in any of the three, each night my mom, my sister, and myself would rotate through washing the dishes, drying the dishes, or reading for a half hour from whatever book we were reading at the time. Madeline L’engle’s A Wrinkle in Time is etched in my brain this way. It was my favorite book growing up and a few years ago when I read it to Liam over the course of a few nights I distinctly remember sitting at our family dinner table and beaming with pride every time I hit a new word but didn’t need my mom’s help working out its pronunciation. The whole routine in no small part contributed to my lifelong love of books and stories. 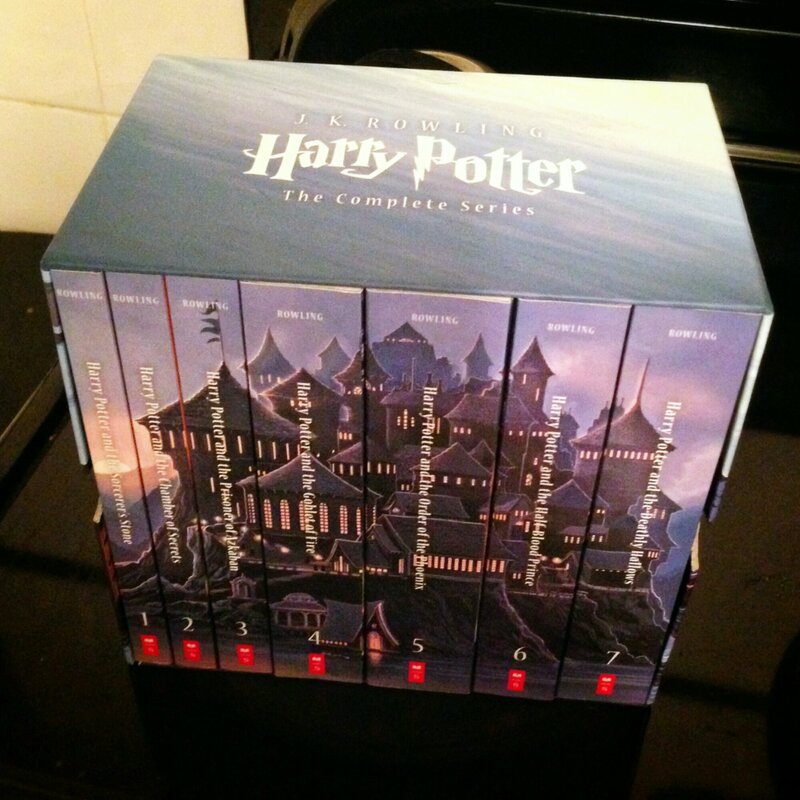 Among the mountain of gifts Liam received for both Christmas and his birthday sits this paperback boxed set of the Harry Potter series. None of us have ever read any of the Harry books, and we’ve only seen bits and pieces of some of the movies but I’ve got a pretty good handle on the story. Maybe I spent all these years avoiding the franchise, even after almost everyone I know kept telling me I should try it, so that I could share the experience with Liam. While Santa left plenty of toys under the tree for Liam, this particular gift was from Karin and I. More than the physical object it is also a gift of time, a gift of an experience. An experience we will share together. Anyway, on January 1st Karin and I will start reading the entire Harry Potter series to Liam. I’ll keep you posted on our progress. When the books first came out, the kids and I would sit on our back porch at night with a lantern. I would read the books and they always loved being read to. I hope you enjoy them as much as we did. Great gift! Oh, I wish you many happy nights reading! It’s funny, but neither of my boys got into the Potter books, and I’ve only read the first. I did read many of the Little House books to them and to Sophie when they were all younger — there’s really nothing better than reading aloud to one’s children.